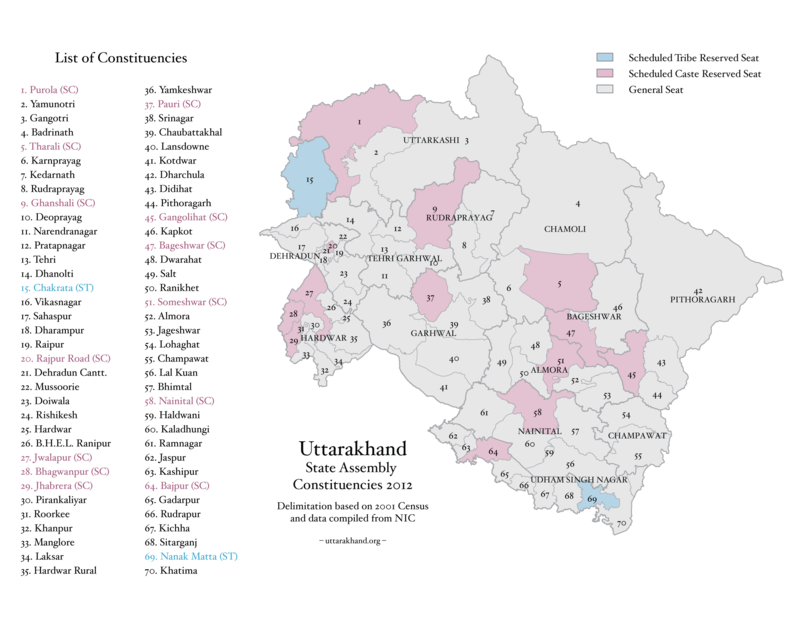 A new round of delimitation for Uttarakhand state based on 2001 census data was commissioned in 2006. Assembly constituencies have been redrawn to account for the shift of populations. This map is based on data from the National Informatics Centre, India.